Donation drives are a fun and effective way for your company, youth group, club or civic association to collect needed items such as children’s clothing, diapers, books, blankets and more, for the families we serve. We can provide you with a list of needed items, fliers to advertise your drive, and an information sheet on how to collect and deliver items. 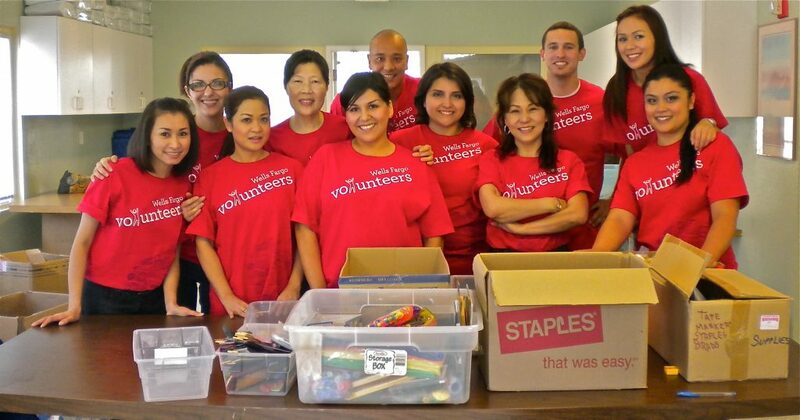 For more information on organizing a donation drive, please contact Sara Tran at (408) 926-8885. Invite family members, friends, peers and co-workers to participate, by email and on social media. Link your invitation to our Shelter Wish List and online Donate pages. Make it fun! Create a tally sheet or poster to track results. Choose a central place to collect donations, that will be easy for your community to access. Clearly mark donation drop off boxes. Include a jar for cash donations, and a sign asking for checks to be made out to Family Supportive Housing. To schedule your donation drop off, please contact Sara Tran at (408) 926-8885. We are happy to schedule a Shelter tour for donation drive participants! Please just let us know that you would like to arrange a tour. Family Supportive Housing is located at 692 N. King Road, San Jose. Directions are available here. Thank you for helping us to serve homeless families!